Geruma Island is a small island. 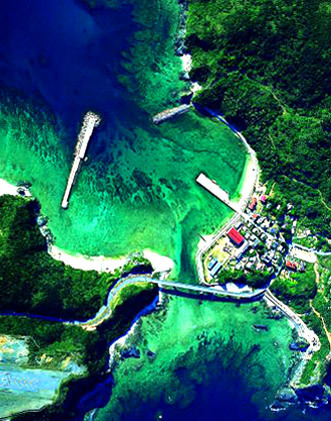 It is linked by a bridge to Fukaji Island, where an airport is located, and to Aka Island, where the ferryboats arrive. A small number of people live on the island, which is only 5 kilometers in circumference. It is the smallest of all the inhabited islands. There is a virgin palm forest inhabited by Kerama deer. Stone walls and houses with traditional red-tile roofs create a tranquil atmosphere in the small village on the southern end of the island. There are coral reefs and beaches of white sand, and visitors can very much feel the nature that still abounds on the island. 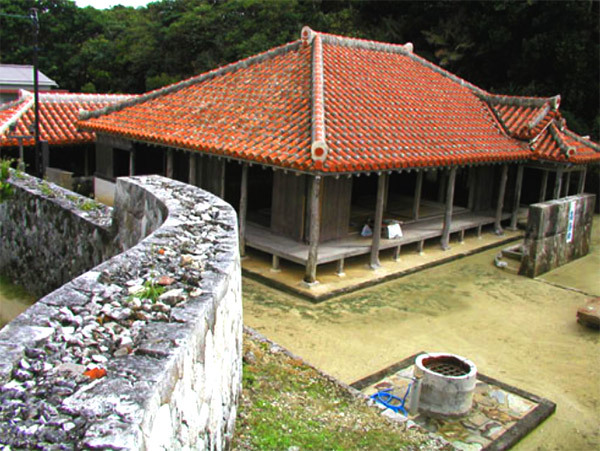 Located on Geruma, Takara's House is a nationally-designated important cultural property (architecture), which is an important cultural resource. Saku Hara (Sakubaru) rock formations is a series of huge rock that was a very strange form that is on the west side of Geruma island. Villages in Kerama Islands are still archaic because this island had comparatively little damage in the Pacific War and most of the houses remained un-destroyed.